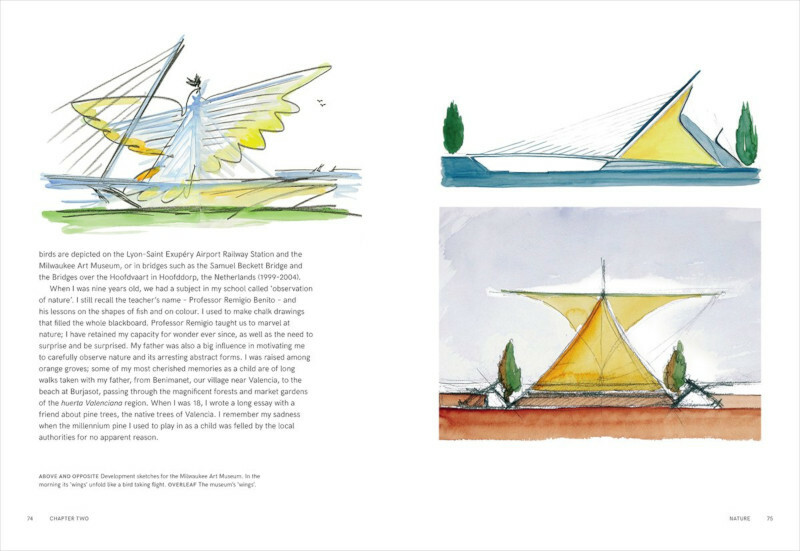 Santiago Calatrava is an intimate insight into one of the world’s most celebrated architects. Calatrava first made a name for himself in the late 1980s, with delicately designed structures in Zürich that seem to grow out of the earth. He went on to create a series of highly innovative, iconic bridges across Europe and, in recent years, has drawn attention for such large-scale projects as the City of Arts and Sciences in his birth town of Valencia, Spain, and the World Transportation Hub at Ground Zero in New York. 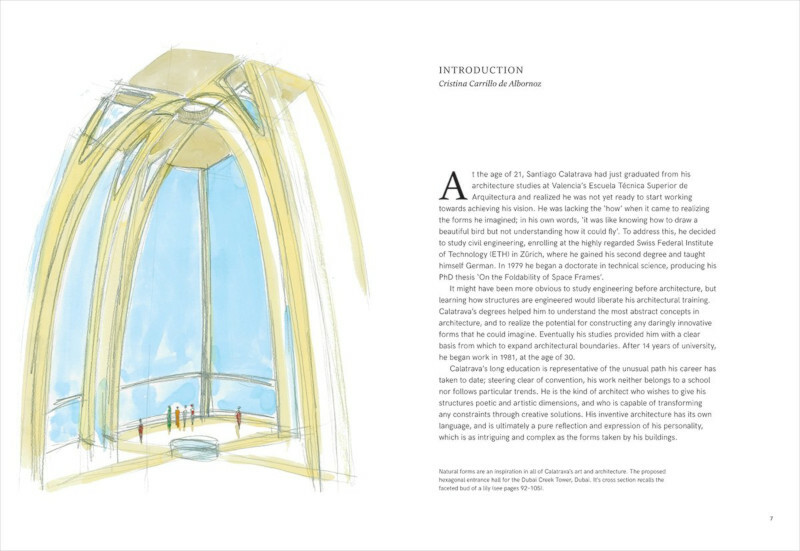 Written in the first person and accompanied by a wealth of sketches never seen outside Calatrava’s studio, this book reveals the breadth of his influences, and how they have combined with his background in engineering and architecture to inspire his signature buildings. 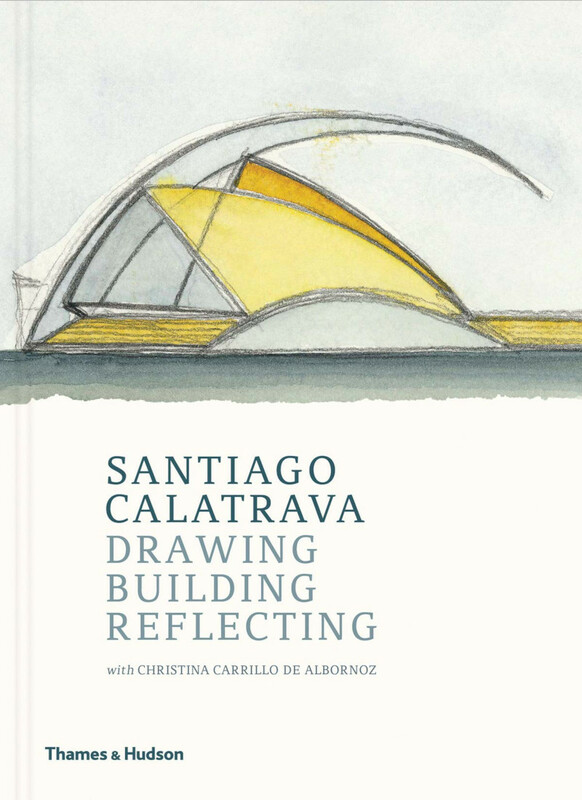 Moving beyond a documentation of Calatrava’s architectural output, this book offers a rare opportunity for readers to explore the creative process of one of the world’s great architects. 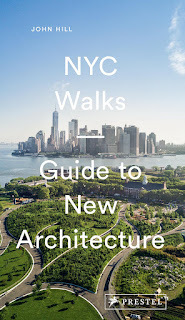 In this heartfelt memoir of an architect of singular conviction, Calatrava’s inspirations, lessons, and achievements will touch every reader, whether aspiring architect or lover of art and nature. If this book really is an "intimate insight" into Santiago Calatrava, the Spanish architect/engineer is a man out of time. Even though his famous bridges, train stations, and other buildings require cutting-edge technologies, especially in regards to steel construction, Calatrava asserts that "technique and technology should never be goals in themselves, but merely supports in our efforts to create poetic structures." Striving for the poetic finds Calatrava defining his structures as art and finding inspiration in artists from centuries ago: Alberti, Bach, Beethoven, Rodin, Shakespeare, and Vitruvius. By seeing architecture and engineering as art and aligning his design approach with such names as these, Calatrava comes across as old-fashioned, eschewing the social concerns and other considerations that are preoccupying younger designers today. Cristina Carrillo de Albornoz's text, written in the first person from Calatrava's viewpoint (like Studs Terkel's books), reiterates the myth of architect as sole genius, an outdated notion but one that necessarily comes with the "starchitect" label. 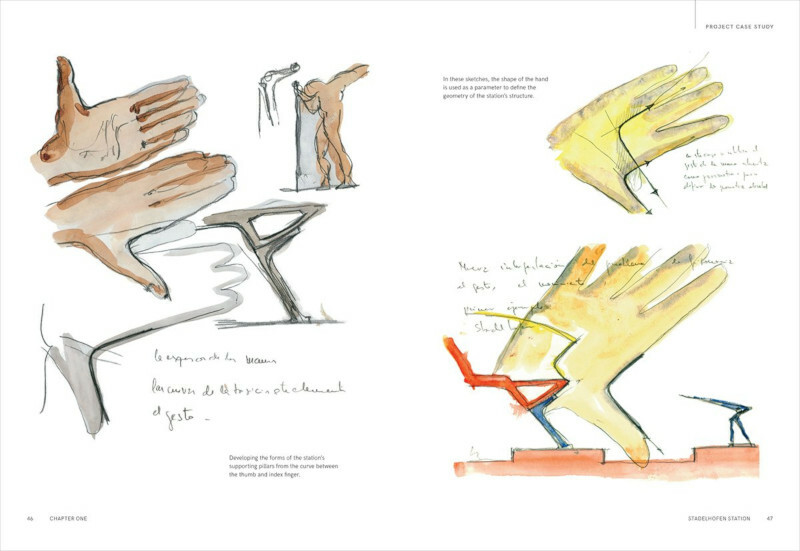 The most rewarding aspect of Santiago Calatrava is the drawings. No wonder it's the first word in the book's subtitle: Minus the occasional photograph and rendering, the book is wall-to-wall drawings. 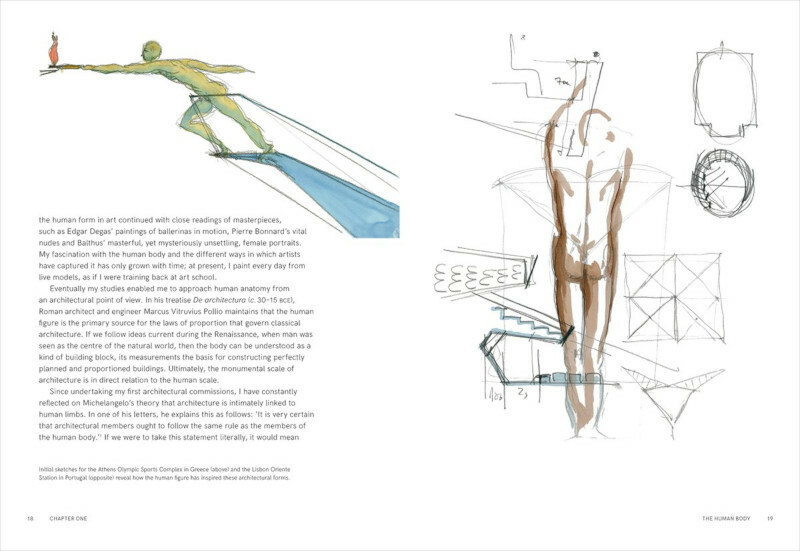 These range from sketches drawn from nature or the human body to watercolors that approach the finished buildings. Clearly Calatrava has a skilled hand; this comes from drawing every day of his working life but also from his "first vocation": painting. Before he was educated in architecture and engineering in Spain and Switzerland, respectively, Calatrava painted, learning to see and learn from nature and the human body. 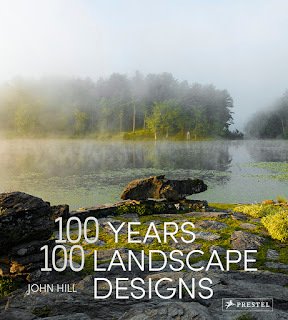 To this day he finds inspiration in parts of the body, the structure of creatures, and the forms of nature. And to this day he sees himself as an artist, one who combines architecture and engineering (two different fields that Calatrava sees as one) to create structures that are his alone. Cristina Carrillo de Albornoz is an art curator, critic, and author who has authored and coauthored a number of books on leading artists and architects, including Ai Weiwei. Santiago Calatrava is an internationally celebrated Spanish architect, structural engineer, sculptor, and painter.